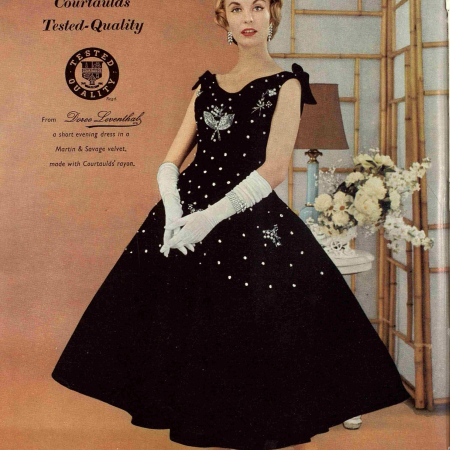 A colour advert from 1956 from the fashion label Doree Leventhal. The model is wearing a sleeveless black gown with bows on the shoulders, white elbow length gloves, and a full skirt. Across the bodice and skirt are white dots and a floral design. It says a short evening dress in a Martin and Savage velvet made with Courtaulds rayon.